Oct 26 (teleSUR) Venezuelan Foreign Affairs Ministry expressed Friday the rejection to declarations given by the High Representative of the European Union for Foreign Affairs and Security Policy, Federica Mogherini, against the institutionality of Venezuela. “Her statements represent an arrogant act of interference that calls into question the European Union’s pretend interest in promoting cordial relations with Venezuela,” said the statement. The Government of the South American country exhorted the European Union’s authority to fully, transparently fulfill their roles as facilitators of the political dialogue between the EU Member States and Venezuela. “The High Representative of the European Union has recorded the European intention to encourage, under the tutelage of the White House’s warmongering government, the breakdown of social stability in Venezuela,” the text added. 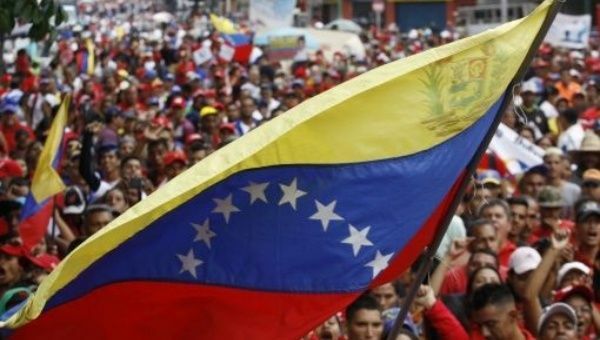 El Gobierno Bolivariano de Venezuela expresa su más firme repulsa ante las inaceptables y tendenciosas declaraciones de la Alta Representante de la Unión Europea para Asuntos Exteriores y Política de Seguridad contra la institucionalidad democrática de Venezuela. In addition, the Venezuelan government urged the EU to abandon their interventionist, offensive and biased positions toward an undemocratic political tendency that has caused so much damage to the Venezuelan people in recent years, the statement said. “The European Union, disregarding the multiple violations of human dignity that are committed daily within its territory, intends to give lessons on Human Rights, and particularly on issues such as migration, where they have been reproved and questioned by the international community,” said the Venezuelan statement.